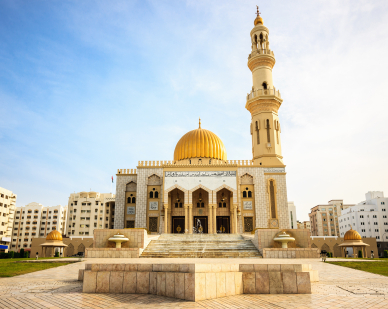 If you are on the hunt for an exotic and yet reasonably safe and secure Middle Eastern country to set your study abroad sights on, Oman might be the destination you are seeking. Perched between the Arabian Sea, the Gulf of Oman and the Persian Gulf, Oman holds the place of the second-largest country, next to Saudi Arabia, in that area and holds many opportunities for study within its borders. Because of its critically prominent and strategic position at the mouth of the gulf, it is a country with significant political and economic interest both historically and today. And yet there are is a good reason why Oman has still remained the comparative wallflower of the Middle East: both students and their parents will be pleased to know that the country, called a sultanate, is one of the more hospitable and safest countries in the region. Because of its reputation as a safe haven, American students are welcomed into its college and university programs especially for language, culture and religious study. These subjects are most strongly represented, among a broad inclusive range of other academic engagements such as politics and the economy. This curious country provides a culturally rich hub of research to be done by the right students, and there are a few scholarships to be found for students wishing to study abroad there. Start your search below for funding to Oman from the hands of the government, private organizations, and college departments. Every undergraduate student secretly wishes they could win a Gilman Scholarship, one of the most prominent and highly sought after awards on the market. The prestigious Benjamin A. Gilman International Scholarships have become de rigueur for disadvantaged and underrepresented student populations in the international studies scene. The program is designed by the federal government expressly to diversify the next generation of business and industry movers and shakers, including those in Oman as it has such a significant handle on the Middle Eastern world. To be eligible for a scholarship to study in Oman, applicants must be Pell Grant recipients and outstandingly academically talented and motivated. Monetary awards may be as much as $5,000. Second on the list of government opportunities to further your knowledge of Oman are the Boren Awards. In response to the overwhelming shortage of highly educated security professionals in critical languages and cultures like Arabic, the National Security Education Program came up with the David L. Boren Scholarships. If you thought the Gilman Scholarships were a big deal, these are even more in-demand as they amount to a pretty significant bundle of money. The NSEP Boren scholarships are open to undergrads and grads pursuing challenging and non-traditional studies like those in Oman. Students must be willing to gain experience Arabic in its vernacular, or common form, as well as the culture of Oman through its people. This is a scholarship for service program, meaning you must be willing to return professional service to the U.S. government after graduation, and preference is given to those who are willing to consider long-term careers in national security. Awards are up to $26,000. This is an ideal option for a student who wants an education and a job all in one substantial package. This award is unique because it sends students the opposite way around the globe – rather, it sends Omani students to America on a full-ride tuition. If you are an Omani citizen, or a dual citizen of Oman/America, you may qualify for this very generous award. This scholarship is newly set in place by the Omani government through the Ministry of Higher Education, as its rather royal name would indicate. 1500 awards are available through the vast funding pile, with 500 of those specifically allocated towards Omani students wishing to study in the US at a four-year accredited college or university. The fund distributes $24,000 a year for five years to an exemplary candidate, in an effort to increase two-way flow between Oman and America, and bring back American-educated Omani citizens to the country to spread cultural diversity and educational resources. The Kennedy-Lugar Youth Exchange and Study (YES) Abroad Program promotes inter-religious global understanding by sending American high-school students to countries with a majority Muslim population. This program originates from the US Department of State, Bureau of Educational and Cultural Affairs, and gives lucky students the chance to live in Oman, and a range of other Islamic dominated countries, for up to one year. Students attend school in Oman, participate in daily life and cultural activities, and live with host families and are thus totally immersed in the saturated Muslim culture and lifestyle of the country. The scholarship is exclusively based on merit, and is thus very competitive. Contact the YES website to apply. The program in Oman: Political Culture and Development, offered by the School for International Training (SIT) is designed similarly to the organization’s other innovative study abroad programs, with an immersion and flexibility in mind to create a unique foreign experience. SIT is a leading study abroad organization packaging a generous number of diverse international programs designed for today’s college students. Middle East and Islamic Studies Scholarships provide auxiliary funding for students in the Oman program. Awards are given based on academic merit and financial need. Compton Fund rewards students in sustainable development programs, like that of the one in Oman, by offering scholarships based on merit and need. SIT Fund is the organization’s most general and widely awarded to deserving students. Scholarships may be from a couple of hundred to a couple of thousand dollars. Diversity Fund is designed for disadvantaged students and serves to make sure they are well-represented in SIT’s programming. HBCU Fund goes to students participating in a SIT program who attend one of the Historically Black Colleges. Sally Bragg Memorial Fund rewards an outstanding female whose studies are particularly focused on peace and humanitarian studies and efforts. The SQCC is an organization dedicated to fostering and strengthening the relationships between Oman and the US by partnering the Middle East Institute in Washington, DC with the Sultanate of Oman to boost foreign policy, international relations, and academic flow. The SQCC Summer Arabic Language and Media (SALAM) program and the SQCC Research Fellowship are just two of the myriad of generous offerings that the organization sponsors. Students in the market for a BA, MA or PhD who have completed four semesters of Arabic are good candidates for the SALAM program that meets in the summer in Manah, Oman at the Sultan Qaboos College for Teaching Arabic Language to Non-Native Speakers. You may apply for this opportunity through SQCC. Conversely, SQCC is also responsible for hosting a mass of Oman-oriented events in the US, included cultural fairs, art shows, and other performances. The website is a great resource for k-12 educational materials related to Oman, and a superb source for up-to-date and pertinent information regarding Omani-American affairs. The Marie Wright Scholarship for Non-Traditional Locations kicks in additional scholarship money to Washington State University students who choose Oman or another Middle East country in which to study. While the awards are open to study in nay non-traditional place, preferences for these competitive awards are given to those who want to study in Africa or the Middle East. Scholarships are merit-based and available to undergraduates who are in at least their second year and wish to study for at least a semester. This Christian school in Orange City, Iowa gives it students access to the Oman Study Abroad Semester program in Muscat, Oman. Those students who will want to apply are necessarily interested in the religious context, justice issues, and Christian-Muslim dualism of the Middle East. While living in Muscat, students will engage in academic courses in elementary Arabic, Christian-Muslim Relations, and Oman Culture and Society. Some financial aid is available to students who are exemplary in their studies. The applications for this aid are available through the Northwestern College office of financial aid. Georgetown University students majoring in Arabic Studies may qualify for the Sultan Qaboos bin-Said Arabic Language and Culture Scholarship funded by the Sultanate of Oman himself. Georgetown’s Arabic Studies Department is one of the most notable and provides programs from Bachelors through Ph.D. studies. Students have numerous opportunities to pursue language studies while abroad with these funds, which are based on academic merit. Funding may vary from year to year, student to student, and project to project. If you have checked with your study abroad office and found that they do not have a program dedicated particularly to Oman, which in the case of this semi-remote country is likely, you may find that the office will allow you to create your own study abroad program to the country. You will need to make sure your study plan is very well thought out and carefully intentioned, in this case, and draw up a detailed and comprehensive outline of your goals and courses for your very own study abroad program. The Oman Ministry of Higher Education is a resource that may be helpful to you as you cross off the regular study abroad hurdles like visas, travel information, and college course details. The section of their website devoted to scholarships is fairly easy to navigate, divided into internal, external, general, law and postgraduate information on Oman-American award opportunities. There may be scholarships through your school’s financial aid office or study abroad office for a program that you create yourself. Other resources worth checking into are any Middle Eastern ambassadorial associations in your community or any language or religious centers related to your planned course of study. Let them know of your intention to pursue your academics in Oman, and they may offer resources such as further access to scholarships or other funding to your cause.